Are you a San Ann resident searching for a dui attorney to fight your San Antonio dui arrest? Are you a visitor to the San Ann area arrested for dui on your way home from the Rattlesnake Festival? Are you searching for a San Antonio dui attorney to provide local representation? Look no further than the dedicated and professional dui attorneys of Finebloom, Haenel & Higgins. A San Antonio dui arrest can be overwhelming. The arrest is humiliating, the mandatory eight hour jail stay is uncomfortable, the court appearances are inconvenient and the loss of a driver’s license has a huge impact on daily life!! The best way to protect yourself against the accusation is to hire an aggressive dui lawyer in San Antonio to represent you! The San Antonio dui attorney you hire should be willing to represent you at all administrative hearings. The San Antonio dui attorney you hire should be willing to take your case to trial until you say otherwise. The San Antonio dui attorney you hire should know all procedural and technical defenses relating to officer protocols, problems with the Intoxilyzer 8000 and blood draws. The San Antonio attorney you hire should have extensive dui trial experience in the local court. If the dui attorney you are considering does not have these qualifications you could forfeit important defenses. This could result in a conviction that could have been avoided or mitigated. When considering dui lawyers San Antonio residents should also consider the dui penalties. First time dui convictions are punishable by six to nine months in jail, a six to twelve month license suspension and fines up to $2000 depending on the blow. Second time dui convictions are punishable by between nine months and one year in jail with a 10 day minimum mandatory sentence, a license suspension of one year to five years and fines up to $4000 depending on the amount of time from the last arrest and the blow. Third and Fourth dui convictions can be felonies with a minimum mandatory sentence of 30 days in the county jail up to five years in prison, fines of $4000 and license suspensions of ten years or a permanent revocation!! San Antonio dui lawyers realize these sentences are harsh and can have a severe impact on your life. That is why it is so important to speak with an experienced dui attorney who can explain every available option and defense to you! At Finebloom, Haenel & Higgins our dui attorneys in San Antonio are dedicated to helping you achieve the best result possible for your particular situation. We strive to be the best in the courtroom and to each individual client. With over 30 years of combined dui experience we are ready to fight for you! 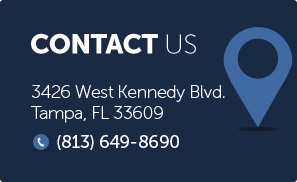 Call us now at 813-200-4412 for a consultation today! We are available 24/7 to assist you.